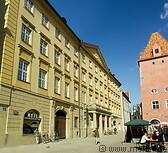 The city of Regensburg in Bavaria has a very long history, with first settlements being established along the confluence of the Regen and Danube rivers in the Stone Age. The Romans built a fort and the town gradually grew and became the capital of Bavaria between 530 AD and the first half of the 13th century. 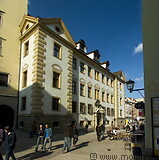 Nowadays Regensburg is a pleasant town with many historical buildings, among which a cathedral, several churches and a townhall. 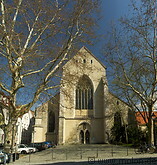 The old town of Regensburg has been a UNESCO world heritage site since 2006.